Twenty to forty percent of Americans suffer from Gastroesophageal Reflux Disease (GERD) and its treatment is often incomplete with patients left to suffer. Heartburn is the most common symptom of GERD but there are many others. 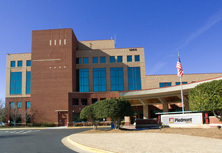 The Heartburn Treatment Center at Piedmont Newnan Hospital was developed to address all aspects of the diagnosis and treatment of this disease. 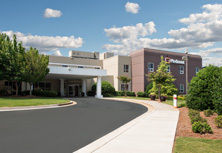 The Heartburn Treatment Center’s Nurse Coordinator will navigate you through your experience with access, convenience, information and support as its mission’s cornerstones. 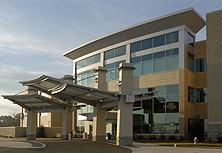 Coordinated, efficient care delivered in a patient-centered friendly way results in extraordinary patient satisfaction and optimal treatment results. GERD is one of the most familiar of all digestive disorders. Its three most common symptoms are heartburn, chest pain and regurgitation. Heartburn occurs due to a malfunction of the valve that connects the stomach and swallowing tube (esophagus). This allows stomach contents that include acid, to back up abnormally or “reflux” into the esophagus. GERD is a “lifetime disease” that usually progresses in severity over the years and its treatment must be delivered with this in mind. The symptoms of GERD are most typically heartburn, chest pain, and regurgitation. Less typically GERD can cause hoarseness, sore throat, worsening asthma and cough. For some, symptoms are relatively mild but others suffer severely on a daily basis with significant lifestyle altering problems. GERD is also associated with sleep disturbance and decreased work productivity. In addition to the described symptoms, GERD causes esophageal cancer. The incidence of deadly cancer is on the rise, increasing faster than any other cancer known. This fact is keenly appreciated by the Heartburn Treatment Center and esophageal cancer risk assessment is part of our comprehensive diagnostic evaluation. 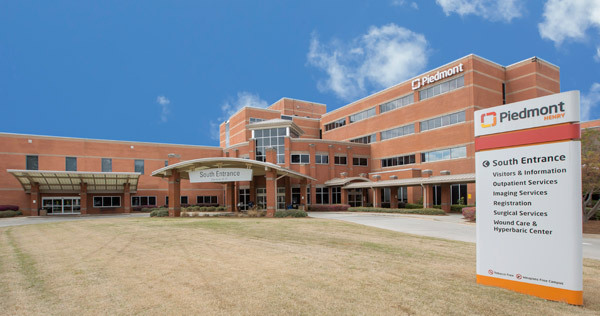 If you suffer from these symptoms or have been taking longstanding medications for GERD, a thorough diagnostic evaluation is recommended and is available through the Heartburn Treatment Center at Piedmont Newnan Hospital. Utilizing our state-of-the-art diagnostics, we accurately determine if GERD is the cause of your problems and assess your risk for the development of GERD-induced esophageal cancer. 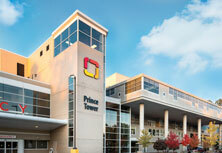 Treatment options can then be offered based on this information. 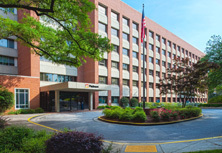 The Center utilizes a team approach composed of all physicians who treat GERD resulting in comprehensive diagnostic studies and availability of all appropriate treatment options. 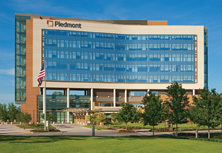 The Heartburn Treatment Center at Piedmont Newnan Hospital specializes in the diagnosis and treatment of GERD. For more information or to schedule an appointment, call our specially trained Nurse Coordinator at (877) 501-GERD (4373) or 770-400-2400.